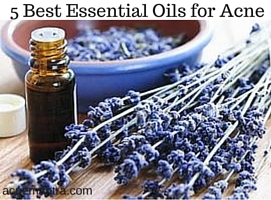 Did you know you can use essential oils for acne treatment? If you’re one of the 40 million Americans with cystic acne, pimples, or breakouts, you’ll be happy to hear that essential oils are a highly effective, natural way to help your skin recover from acne and acne scars. As more and more people start discovering the ways in which essential oils can be beneficial to our health, new and relevant everyday uses for the oils keep surfacing. Often when we hear things like “essential oils” we immediately associate them with some sort of weird health fad that will come and go. Every once in a while some of us can be fooled by the so called cure-alls and miracle products that gain popularity quickly before fading out because they don’t really work as we were told. Essential oils are not miracle products or cure-alls, but they can do a whole lot for your health and home and they are completely natural. Although the word essential can confuse some people, it does not take any sort of chemical process to make these oils. The majority of pure essential oils are made by through distillation. When you distill these natural plant ingredients in water, you end up with oil made from the pure essence of the plant itself. Just as people use herbs, flowers, and other naturally growing things to treat diseases, wounds, etc., the oils can be used to receive the same benefits or more. You can learn more about what exactly essential oils are here, or how they are made here. Depending on the type of oil you are using, there are all kinds of personal health benefits that can be found from applying the oil to your skin, ingesting the oil, or using it for aromatherapy. Each separate oil brings its own benefits, so it’s best to look it up online if you’re not sure how to use the oil. Widely regarded as the best of all the essential oils for acne, tea tree oil acts as a natural antibiotic, antiviral, and disinfectant. It’s perfect for targeting the source of your acne as it appears and stopping it before it has the chance to appear. Tea tree oil is one of the few oils that can be applied directly to the skin without any problems. The scent of this oil is generally quite strong and herbal, so beware about when you apply the oil as you and those around you will be able to smell it very easily until it soaks in. This oil actually has 2 functions for helping to treat acne. Firstly, it has strong antibacterial and anti-inflammatory properties that get rid of pimples fast. Secondly, it has restorative properties that can heal your skin of acne scars and marks that can be left behind after you acne is gone. Frankincense has a sort of musky smell that is soft and not disruptive. Beware about using oregano oil in large quantities as it has a very strong disinfectant that will take care of your acne but can also cause irritation on your skin if too much is used. The benefits of oregano are easy to see, and one bottle can last a long time because of how little is needed for each application. As an aromatic oil, you can expect a lot of fragrance from oregano oil; but, it has a wonderful herb scent that can give you some aromatherapy benefits at the same time as working on your skin! You can help to stop breakouts before they occur as well as treat major acne breakouts with rosemary oil. It acts as an anti-inflammatory and antimicrobial that’s useful to tackling the source of the pimples and reversing the swelling or bumps associated with an acne breakout. Some people say their skin seems to glow more brightly when they use this oil as a treatment. Most people enjoy the fragrance of rosemary. It’s very woody and herbal, but has a fresh scent to it that can help to calm you down. Using neroli oil can not only kill your acne because of the antibacterial and antiseptic properties within, but it can also rejuvenate your skin. It does this with the citral contained in the oil that promotes growth of new skin cells as well as restoration of existing cells. If you have sensitive skin, this is probably a good choice for you. The scent of neroli oil is widely used for aromatherapy because of its sweet, misty smell and anti-anxiety affects. Those with oily skin can get a lot of acne prevention benefits from geranium oil as it helps to regulate the body’s skin oil production and prevent the acne from coming at all. It has antibacterial compounds that help to dispel acne that’s already formed on your face. Your skin will also experience some anti-aging and elasticity benefits from this oil. The floral scent of geranium is refreshing and citrusy. There are mixed reviews about lavender oil as a treatment for acne. It is antibacterial, analgesic, and antiseptic, but it can also dry out the skin when used too often or in larger amounts. Anyone with oily skin or more mature skin can benefit greatly from lavender. The scent of lavender has a great effect for relieving headaches and stress. It’s sweet and clean, but very aromatic. Most oils should be mixed with a carrier oil to dilute the solution and spread out the benefits of the oils. Diluting oils helps to prevent any skin drying or irritation from some of the essential oils for acne. Some oils can be mixed together to make helpful blends for your skin. Using essential oils for acne treatment is a great way to treat the skin condition naturally. The 7 oils listed above are well known for their benefits to your skin and their use in acne treatment. They’re also easy enough to find in stores that stock essential oils, so you should be able to start your new skin care regimen as soon as you want to!